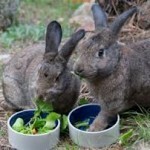 Since 1991, the Colorado House Rabbit Society has rescued rabbits, provided veterinary care as needed, spayed and neutered and litter trained them, and found them homes as house rabbits. Surprising to many people, rabbits are quite intelligent, affectionate, and highly entertaining. Hundreds of families are thrilled with their beloved house rabbits, and claim that they will never again be without a pair of them. 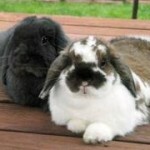 The Colorado House Rabbit Society is licensed by the National House Rabbit Society. We are a 501(c)(3) tax-exempt non-profit organization made up entirely of volunteers. There are no paid positions. Every penny of all donations goes to helping the rabbits. We have two purposes: rescue and education. On behalf of hundreds of grateful, furry, little bunnies, we would be most grateful to be the recipient of your generosity.